The Orbit 3 pocket compass is a small compass that offers a handy way to keep your bearings about you. The dry compass capsule houses an agate-bedded compass needle inside an azimuth ring featuring 2 degree resolution. 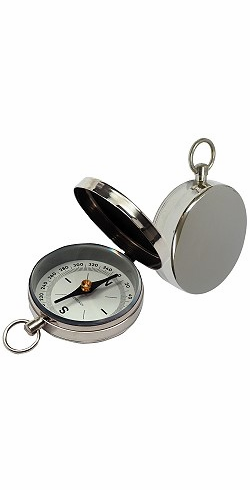 Note: this compass features a friction fit lid and does not have a closure latch. For a pocket compass of comparable size with a closure latch, please see the Dalvey Miniature Pocket Compass. See ALL of our pocket and gift compasses.